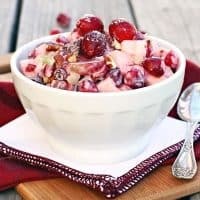 If you’re looking for a unique way to serve cranberries at this year’s Thanksgiving feast, then look no further than this Cranberry Waldorf Salad. This twist on the classic Waldorf salad has some familiar ingredient, like apples, nuts and celery. But this version has a some festive holiday additions–like the sweetened yogurt dressing with a dash of cinnamon. This salad is beautiful to serve at the holidays, but honestly, it’s delicious any time of year. 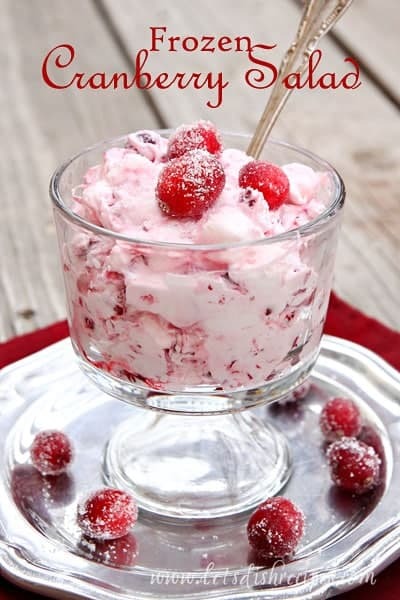 Just by a few extra bags of cranberries when they’re in season and keep them in your freezer. This salad is also a welcome lower-calorie addition to your holiday feast. 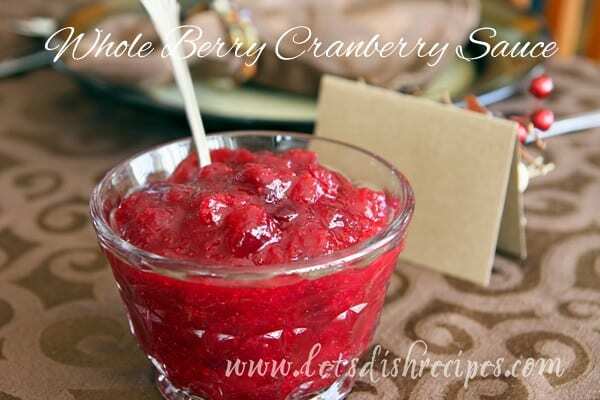 A food processor makes chopping the cranberries quick and easy. I like to stir in the raisins and pecans just before serving so they don’t go soggy. This beautiful, tasty salad is sure to become a holiday tradition! 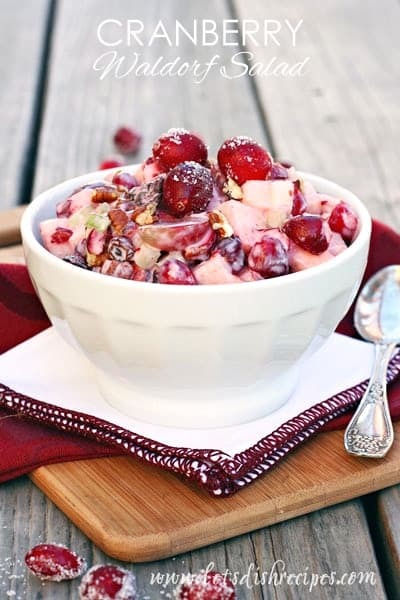 In a medium bowl, combine cranberries, apple, celery, grapes, raisins, and pecans. In a small bowl, combine yogurt, cinnamon and sugar. Add yogurt mixture to fruit mixture and toss to coat well. Cover and chill until serving.